What Exactly Is A Plant-Based Diet And Why Is It Good For You? A plant-based diet is not a diet of vegetables alone. It is a diet based on fruits, vegetables, whole grains, and legumes, which may exclude or minimize meat, including chicken, dairy products and eggs. The diet will definitely exclude foods made from refined flour and sugar and certain refined vegetable oils like canola and corn oil. There are several food categories from which to choose, and most of these can be included as ingredients in familiar dishes you may want to prepare such as pizza, mashed potatoes, and burrito bases. Eat organic produce as often as possible. Some of the healthiest foods like strawberries and spinach actually contain the highest amount of pesticide residue. A handy resource for choosing fruits and vegetables is the Dirty Dozen app. It can help you decide which foods are most important to eat organic. Here are some of the foods you can add to a plant-based diet. Fruit: mangoes, bananas, grapes, strawberries, blueberries, oranges, cherries, plums, lemons etc. Vegetables: lettuce, dark green veggie varieties, broccoli, cauliflower, cabbage, kale, cabbage etc. Starchy vegetables: potatoes, yams, yucca, squash, peas, sweet potatoes, peas, green beans. Legumes: All varieties of beans such as black beans, lima beans, kidney beans, and cannellini beans, and legumes like chickpeas and lentils. These provide great plant protein. Starch-based foods and fruit along with healthy vegetables form the basis of a whole-food plant-based diet. But, don’t forget the protein. You can eat a plant-based diet and include healthy meats and dairy also. The idea is that plants are the foundation of your diet. You could have decreased energy and feel hungry if you limit yourself to just one category of plant-based foods such as leafy greens. While leafy greens play are nutrition powerhouses, eating a variety of foods will provide you with the necessary calories and energy for a satisfying and nutritious diet. Those leafy greens can be combined with starch-based foods like corn, peas, potatoes etc. or healthy protein to provide fantastic all-around nourishment and keep the energy pumping. The idea of a plant-based diet is not to eat one food for a single nutrient, such as oranges for vitamin C. The best plan is to eat a “package “of foods that you enjoy that contain all the essential nutrients. This is how to get all the benefits of a plant-based, whole food diet. And, remember protein is necessary to build muscle and provide sustaining energy too. Healthy meats and dairy can be a healthy part of a plant-based diet. But, make the bulk of your diet from plant sources. If you want to eat “vegan,” great care will need to be taken to be sure you get all of your essential nutrients. But, to be honest, most Americans are eating too much animal protein. Cutting your normal amount of animal protein sources in half and adding plant-based foods for the rest of your diet will reap many benefits for your health. Plants contain no cholesterol, though the super-food coconut oil contains a cholesterol that doesn’t seem to negatively impact health. The fiber in plants helps to lower blood sugar by slowing down the absorption of sugars into the bloodstream. A plant-based diet lowers your risk of cancer. Weight loss happens naturally when you eat wholesome, unrefined foods, lots of fiber and take in natural vitamins and minerals instead of the refined fats and sugar found in processed foods. Research has shown that replacing saturated animal fats with the mono-unsaturated fats found in nuts, avocados, and olive oil substantially lowers your risk of cardiovascular and heart disease. The fiber in a plant-based diet will keep your colon healthy and help with problems like constipation. More plant-based foods mean less inflammation in the body caused by sugary and fatty foods. Inflammation leads to many chronic health conditions like headaches, joint pain, heart disease and more. 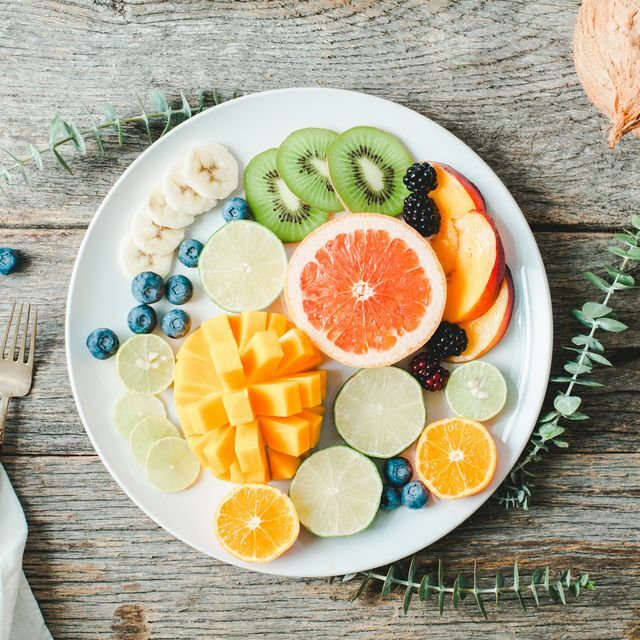 Plant-based foods contain nutrients which are in proportion to our needs, and a variety of whole foods will easily meet your nutritional requirements. 2nd week: Substitute one or two refined items with a plant-based food in a meal each day. 3rd week: If you are eating animal protein, cut the amount you eat in half. Be sure to remove the skin of poultry and opt for healthy, wild-raised fatty fish such as salmon, sardines, tuna or mackerel. This will boost the omega 3 content of your diet. 4th week: One or two days of your week, replace your meals with a full vegetarian, plant-based meal. Gradually, add more meals that are vegetarian to your daily diet. In a month, you will be really good at eating a plant-based diet when you follow these tips. The health benefits of a plant-based diet are supported by scientific research. Fatalities from heart problems are rated as the largest, single cause of death today. Many other diseases and health issues are a result of inflammation caused by poor lifestyle habits and unhealthy diets. Embrace a healthy diet and help lower your risk of disease and feel great. Rinse the quinoa and drain. Place in a saucepan with the water. Cover and bring to a boil. Reduce to low heat. Let simmer for 12 minutes. Turn off heat and let sit, covered, for another 8 minutes until all the water is absorbed. Remove the quinoa from the pan and fluff with a fork onto a plate to cool. When cool, add the pepper, scallions, and pumpkin seeds. In a small bowl, combine the olive oil, lime juice, and salt. Toss with the quinoa. To serve, place arugula on a plate, spoon the quinoa salad on top, then garnish with fresh sliced avocado, a spoon of drained black beans, and a sprinkle of cilantro. Optional: add slices of grilled chicken breast seasoned with a pinch of salt and pepper.